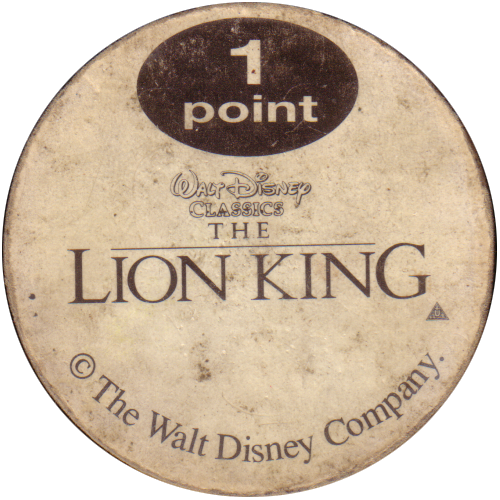 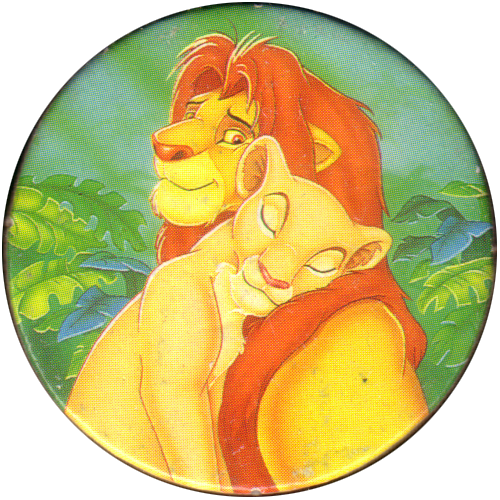 Info:These pogs feature characters and scenes from Disney's animated film The Lion King. 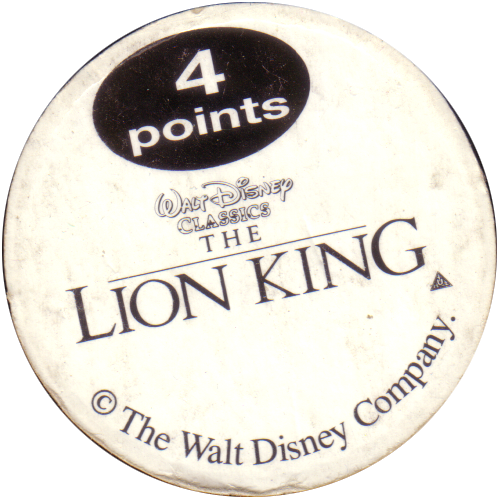 On the back each pog has a point score, but they are not numbered. 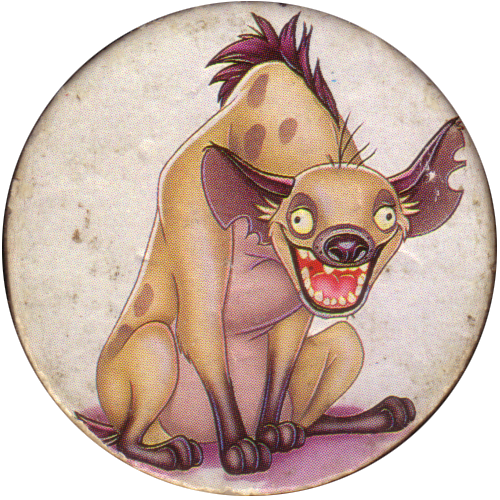 They appear to be produced by the same company as Backwoods Buddies pogs and Disney's The Hunchback of Notre Dame pogs.